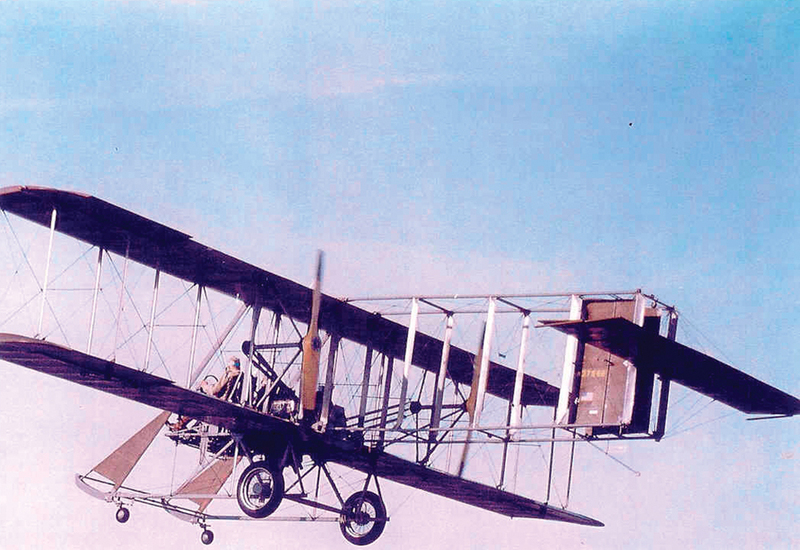 On Memorial Day, this replica of the Wright “B” Flyer will fly around the Statue of Liberty. On Sept. 29, 1909, Wilbur Wright flew the original Wright “A” model around the Statue of Liberty as part of the Hudson-Fulton Celebration. The luxury liner “Lusitania” was abreast of the statue, outward bound, as he circled close to the statue’s waist. This coming Memorial Day, in celebration of the 100th anniversary of the Wright brothers’ first powered flight, there are plans to recreate that flight with a replica of the Wright “B” Flyer, the brothers’ first production model. 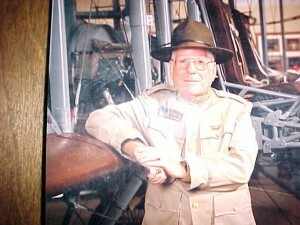 John Warlick, who played a major role in building the replica and will fly it around the Statue of Liberty, says they have approval from the U.S. Park Service—which operates Liberty Island, the site of the Statue of Liberty—the New York City Parks Commission and New York Police Department, as well as the Federal Aviation Administration, to make the flight. “Our only problem is raising enough funds to do it,” he said. 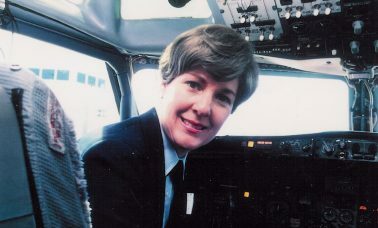 Warlick is president of Wright “B” Flyer, Inc., a nonprofit organization that operates the aircraft, which will take off from Teterboro Airport. He is optimistic about getting sufficient public support to make it a go. Though the aircraft has logged almost 500 hours, in flights all over the country and abroad over the past 20 years, this will be its first appearance on the East Coast. It has been a feature of many major public events since its debut two decades ago, including an open house for the public at Tempelhof AFB in Berlin, Germany (It was a U.S. base at the time), on May 26 and 27, 1990. Orville Wright gave demonstration flights at that site in 1909, when there were discussions about producing the aircraft in Germany. 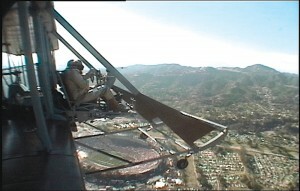 As for recent appearances, Warlick flew it over this year’s Rose Bowl. The replica, of which three other pilots besides Warlick are approved to fly, also flies each year at the annual Dayton Air Show. The aircraft is disassembled and shipped to locations where it will be flown and then reassembled; a special trailer was recently built to transport it. The sides can be lowered to convert it into a visitors’ center. 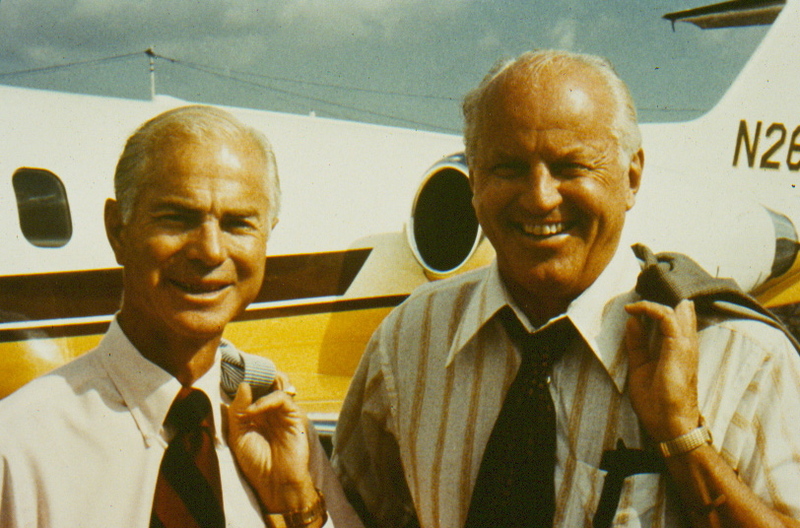 The idea for the replica was born after a group of aviation enthusiasts, including Warlick, were disappointed to learn, in 1973, that there were few items in Dayton, the Wright Brothers’ hometown, to commemorate their achievement. “Their bicycle shop is in the Ford Museum in Dearborn, Michigan,” Warlick said. 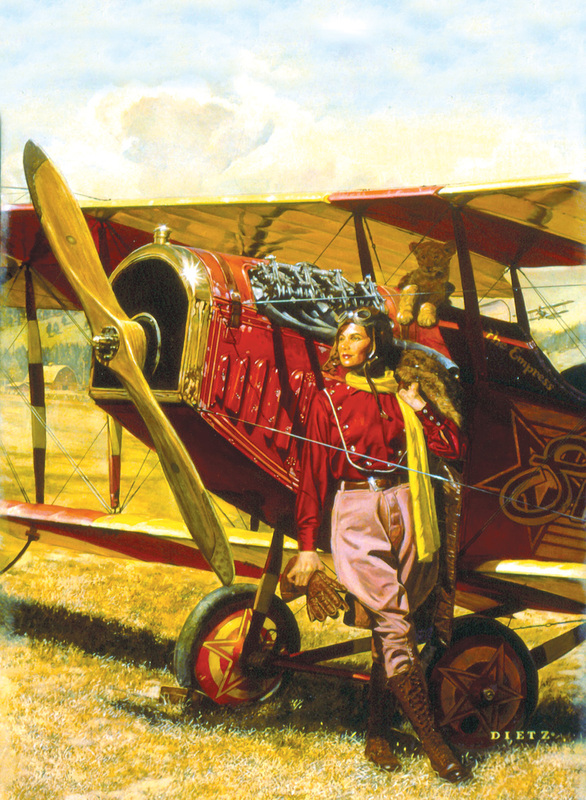 When Dayton was looking for some special way to celebrate the nation’s bicentennial, they thought of building a replica of the Wright “B” Flyer, the first production aircraft, to fly on that occasion. John Warlick flying the replica Wright “B” Flyer over the Rose Bowl. They started work on the replica in 1974. There were no plans of the original aircraft available to guide them, but the Air Force Museum at Wright-Patterson Air Force Base had a non-flying military version of the Wright “B” built from spare parts, which had been highly modified by the Signal Corps to include ailerons, a V-8 engine, different landing gear and a control wheel. The museum permitted them to use their aircraft as a model for the project. After a detailed study of the aircraft, Warlick and some volunteers made construction drawings, which were turned over to the Kettering High School drafting class. Within a year, volunteer students produced 90 pages of detailed mechanical drawings, used to start the preliminary engineering design for the modern look-alike Wright “B” Military Flyer. Warlick and his helpers also enlisted aid from the University of Dayton Engineering Department, the Dayton-Cincinnati Chapter of the American Society of Aeronautics and Astronautics, and the Air Force Institute of Technology. All of these organizations contributed to a report that was used in producing engineering calculations. Originally, Warlick was just another member of the group, but his background made him eminently qualified to become a prime mover in a project of this scope. 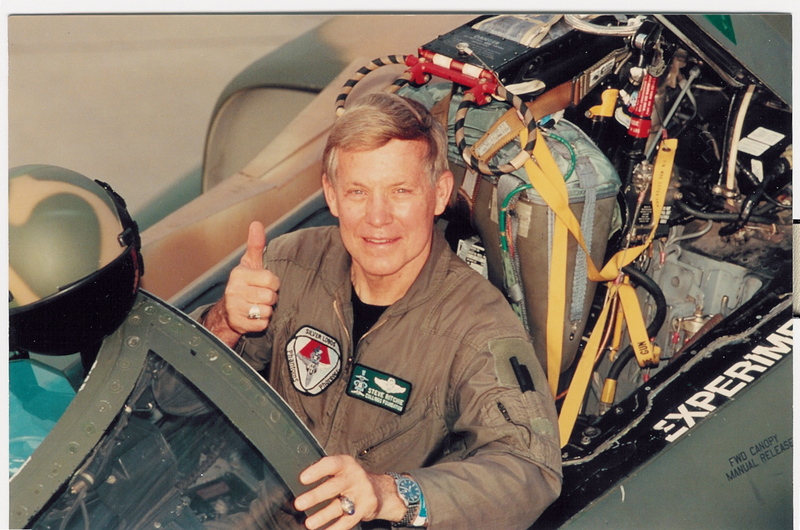 Warlick, 76, is a former Navy pilot who flew dive-bombers off carriers “Ranger 4” and “Valley Forge” in the Atlantic. 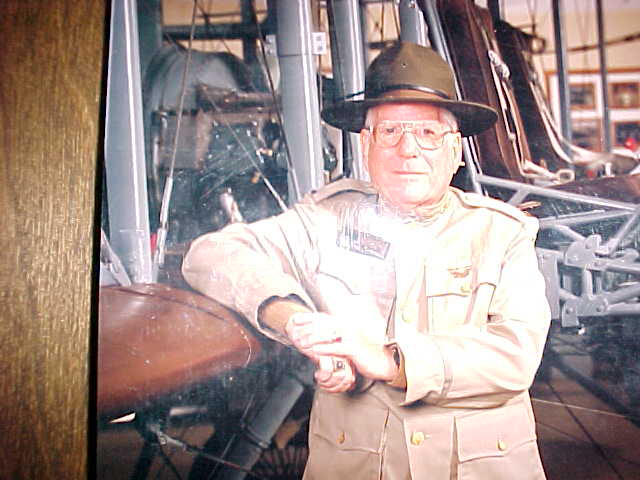 He has logged 4,500 hours, 425 of which are in the Wright “B” Flyer replica. He also holds a mechanical engineer degree from Georgia Tech. 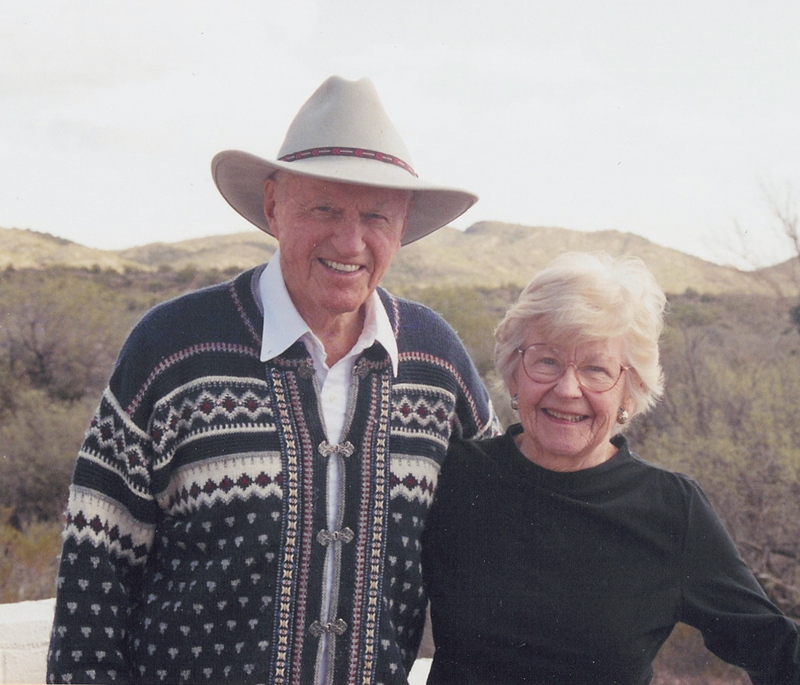 His background includes being in charge of engineering at Rockwell Standard and working for two general aviation parts manufacturers. He was vice president of engineering at Hanlon and Wilson and vice president of commercial products at Elano Corporation. He came to Dayton in 1973, when he joined Elano. His manufacturing experience includes being a DER (FAA Designated Engineering Representative). Since Warlick had worked with key people at the major GA manufacturers who had been his customers, he was able to get them to contribute to the project. 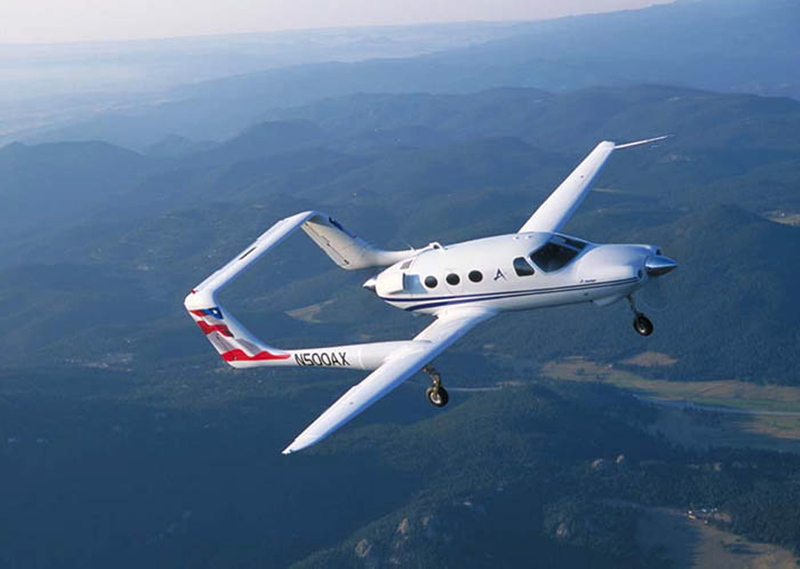 The aircraft was built to comply with Part 23 of the Federal Aviation Regulations. It was also necessary to meet the requirements of the Aeronautical Systems Center at Wright-Patterson Air Force Base, where test flights were made. Building the aircraft from scratch required manufacturing specialists, machinists, welders, sheet metal workers and experienced aircraft mechanics. More than 600 volunteers participated in the design, construction and testing of the aircraft; Elano contributed some skilled workers. “We modified it in order to meet FAA requirements for flight,” said Warlick. “It’s beefed up. We used steel for some parts instead of aluminum. 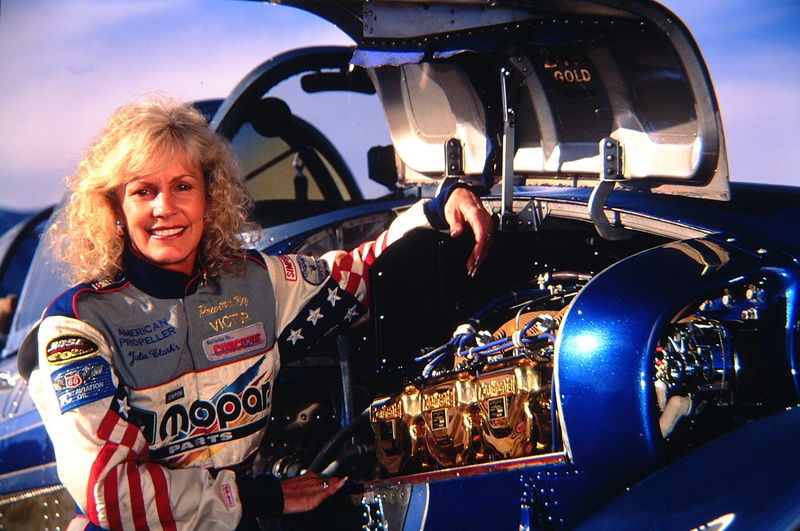 It has a 250-hp Lycoming engine (donated by Lycoming),” he said. 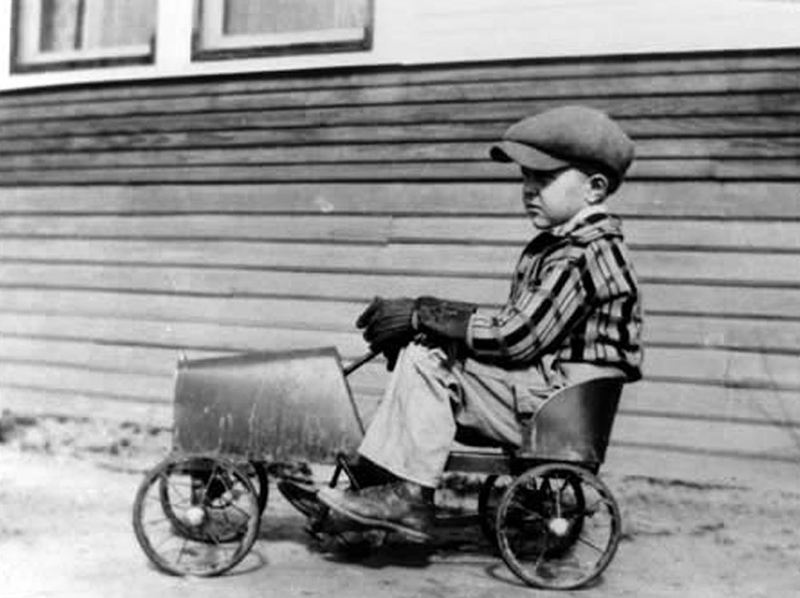 The very first Wright aircraft had a 12-hp engine. The work was started in several garages; Wright-Patterson later donated space in which they could work. 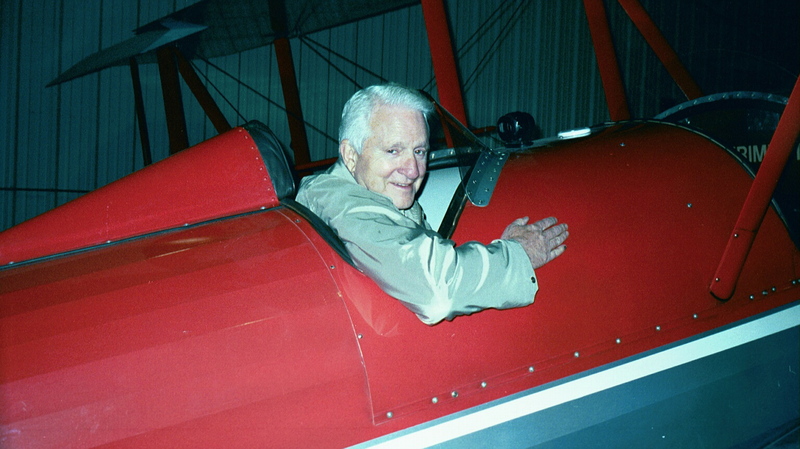 John Warlick, president of Wright “B” Flyer, Inc. The original Wright “B” aircraft were built between 1911 and 1914; there were civilian and military models. It was built both as a trainer and as a military reconnaissance plane. There is no record of how many were built but Warlick estimates between 20 and 30. Although the project was originally conceived to be part of Dayton’s Bicentennial celebration in 1976, it proved impossible to meet that deadline, since the project proved much more complicated than those on the team ever imagined. As a result, the aircraft’s maiden flight didn’t take place until July 27, 1982, at Huffman Prairie, where the Wrights flew. A hangar resembling the Wright Brothers’ has been built at Dayton-Wright Brothers Airport in Miamisburg, Ohio, where the flying replica is based. A team of 35 volunteers takes care of the aircraft, the hangar and the grounds surrounding it. They are a part of the tremendous team of volunteers who poured endless hours of time and talent into converting an ambitious idea into a reality. Millions will witness a rare sight on Memorial Day because of their efforts when New York will see a milestone in history recreated. The flight of that flimsy-looking flying machine will not only be paying tribute to the Wright brothers, but will also draw attention to the Lady in the Harbor, who symbolizes the liberty and freedom which made their achievement possible and changed our world. And finally, since it will be Memorial Day, it will be a tribute to all those brave young men and women who gave the last full measure of devotion so that we can continue to enjoy the blessings of freedom. 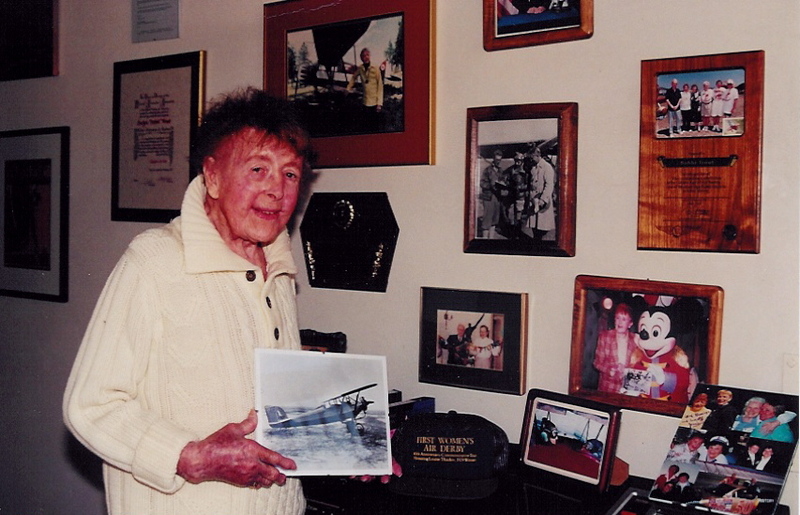 Those wishing to make donations to cover the costs of the flight described above may make checks payable to The Wright “B” Flyer, Inc., at 10550 Springboro Pike, Miamisburg, Ohio 45342.